in Creative & Tech with tags bravo, Imposters, InstaCON, sxsw Both comments and trackbacks are closed. 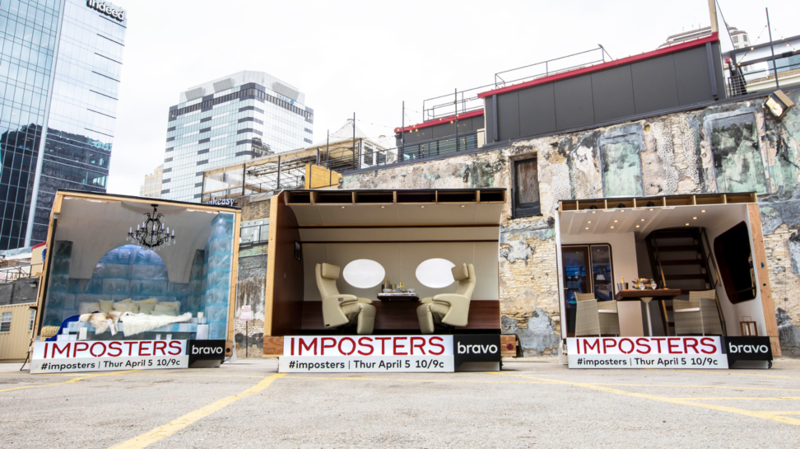 To kick-off the SXSW Interactive Festival, Bravo partnered with 360i to promote season 2 of their scripted series, Imposters and launch InstaCON—an experience that immersed SXSW attendees in what it feels like to pull off a con. Three elaborate sets were installed in a parking lot in downtown Austin, where attendees could get their photos taken. 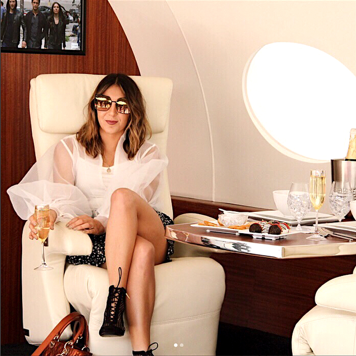 Everyone who entered the sets received two photos: one that was cropped perfectly so that it appeared they were truly in this “baller” situation (luxury yacht, private jet or lavish ice hotel), and a second photo that was zoomed out to reveal the con. Attendees were encouraged to expose their cons using #ImpostersSweepstakes for a chance to win a luxury travel experience of their very own, inspired by the sets themselves. Throughout the first season of Imposters, we learned that one of viewers’ favorite parts of the show was watching the cons unfold. It was the twists, turns and edge-of-the-seat moments that grabbed fans’ attention and pulled them in to the world of Imposters. In promoting the new season, we wanted to empower fans to “get in on the con” and experience the thrill for themselves. InstaCON was born out of the idea that many people (if not most) are Instagram con artists themselves, even if they don’t realize it. In the day and age of social media, everyone curates their Instagram profiles to only show the best of the best… even if that means stretching the truth to increase their klout. Designed to be a social-first experiential activation, InstaCON turned attendees into the ultimate con artists. The effort was further supported by Facebook event ads, geo-targeted Facebook and Twitter News Feed ads, influencer promotion, Instagram stories from both the @BravoTV and @ImpostersOnBravo accounts, and Snapchat. The event was a hit among SXSW-goers with over four-thousand people attending the activation over the course of two days. 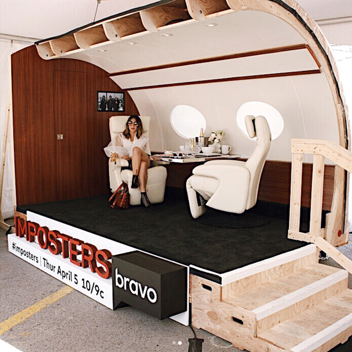 Hundreds of attendees submitted their photo to #ImpostersSweepstakes, and overall Imposters was the second most talked about show at SXSW. Imposters season two premieres Thursday April 5th at 10/9c. Tune-in to find out who won the #ImpostersSweepstakes, as the winner will be revealed on-air. Join the Imposters Facebook Group and follow Imposters on Instagram.